Dry cleaning is now available for all staff and students at AUT SHOP City Campus - provided by Herne Bay Dry Cleaners. Daily pickup and delivery services are available. Simply bring your item/items before 11.00am and they will be ready for pick up between 4-5 working days (standard service). 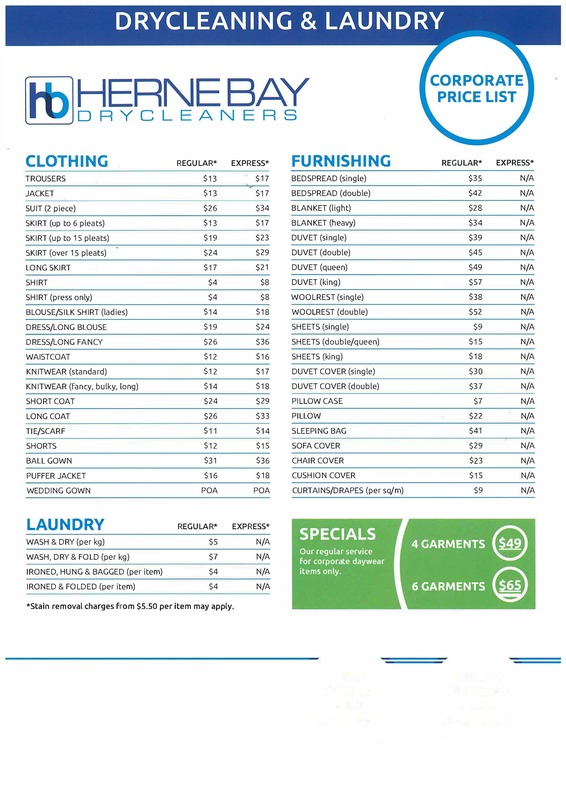 For urgent dry cleaning, we have an EXPRESS service which needs to be dropped off before 11 am, and ready for pickup on the next day by 1.00pm.